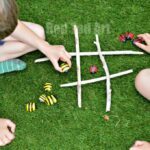 Today we will show you how to make a catapult using popsicle sticks aka craft sticks and LOOM BANDS (yes, loom bands.. you may be left with tons of them after the recent loom band crave… here is one use for a handful of them!). 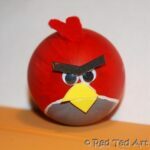 We used multi coloured craft sticks for this – but of course, you can make it plain.. or use whatever colours you like! 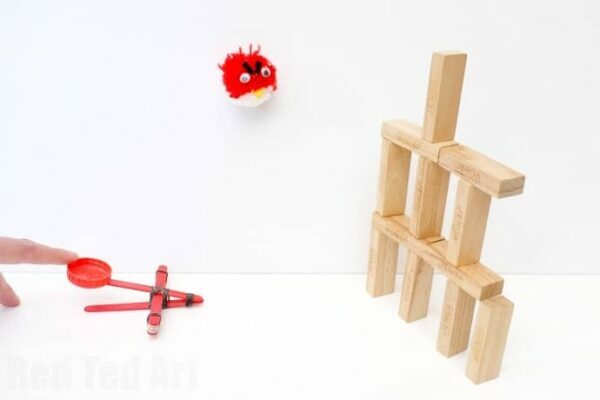 We love using our homemade catapult toy to throw our angry bird pom poms through the air and to see what we can hit! Keeping it fun and friendly! * depending on the QUALITY of your loom bands, you may want to simply use normal elastic bands.. i.e. 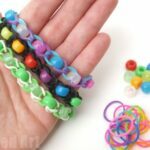 if they are very cheap loom bands, the won’t have much “elastic energy” in them. 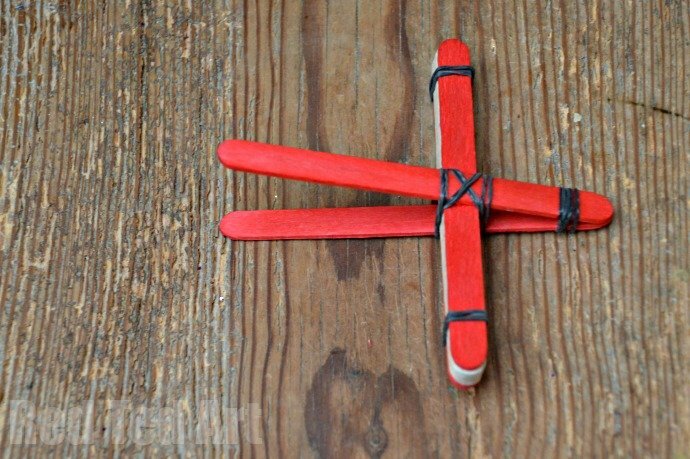 Take 8 of your craft sticks and put them together. Secure with some loombands (we used two on either end). 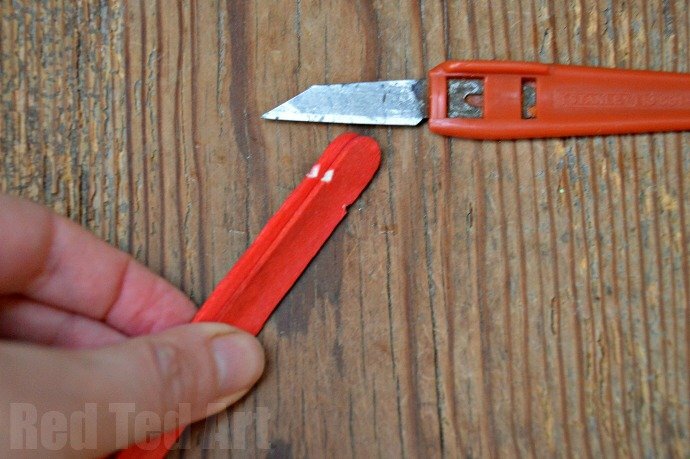 Take the remaining two craft sticks and cut notches about 1 cm from the end. BE CAREFUL the knife could slip. 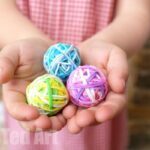 If you are doing these as a party activity – I suggest prepping these for the kids ahead of time. 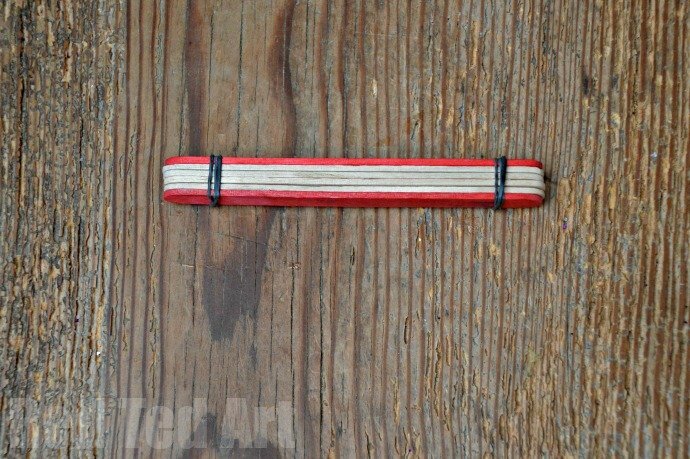 Wrap 3-4 loombands around the bottom of these two craft sticks. Slide the 8 craft stick set between these last two (as per the picture. And secure with more loom bands. 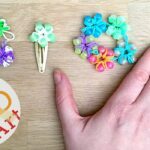 An individual loom band is not very strong, but if you use several (probably about 6-8 at this stage), they should have a combine strength that is plenty for the craft. 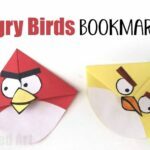 Of course you can use regular office rubber bands too! 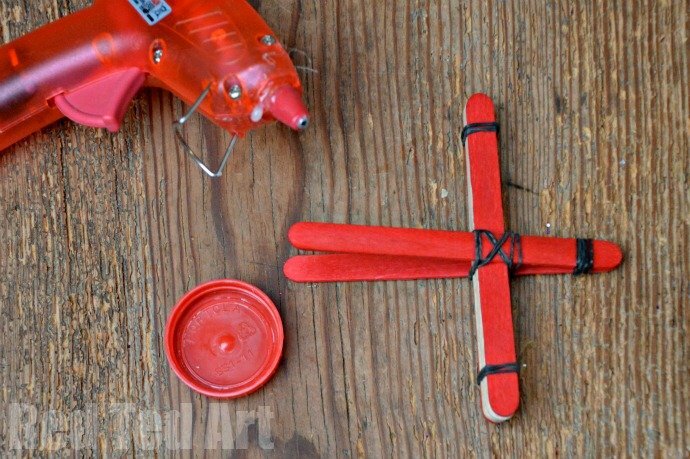 Now with a hot glue gun, secure your bottle top to the end of your catapult. This will be your launch pad for pom poms or screwed up paper! 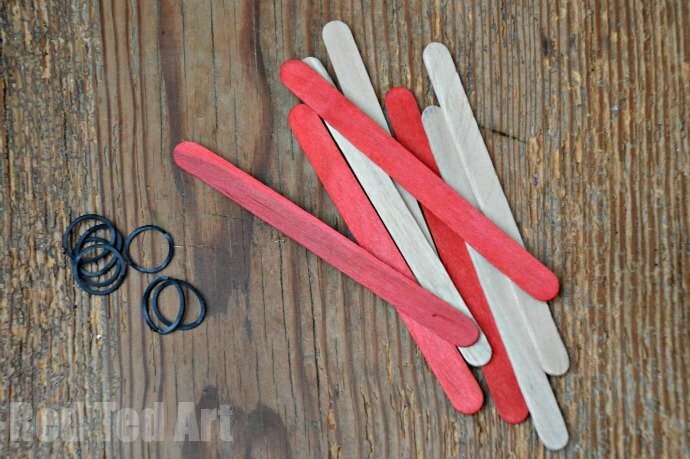 If you don’t have a got glue gun, you can aline a plastic spoon with the top of your catapult and secure it in place with lots of more loom bands (and use some more up!!). And done.. you are ready to get playing! 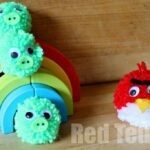 Make a set of angry bird pom poms, get out your Jenga and you are all set!